View basket “British Sheepskin – Spotty – Free UK Delivery” has been added to your basket. Dartmoor Sheepskins arrive beautifully packaged, as winners in our latest social media competition found out. Many thanks to Ayse, one of three winners in our Win A Dartmoor Sheepskin Competition, for these lovely photos. Ayse is a wildlife artist (and very good in this writer’s opinion) check out her website here. 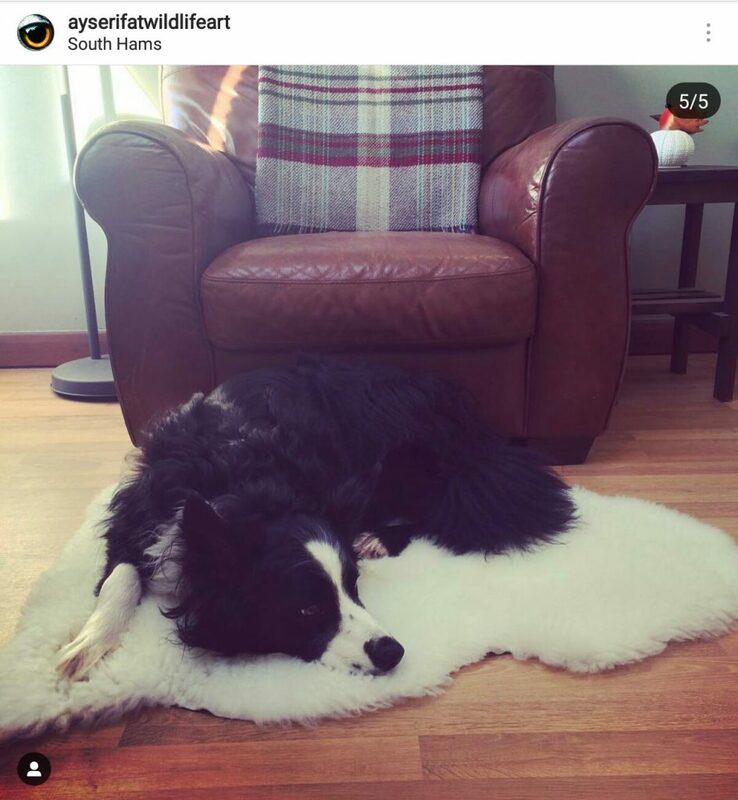 Kate won a Dartmoor Sheepskin on our Facebook Page, and kindly sent these lovely photos. We specialise in luxury sheepskin made on Dartmoor, with prices from £50 you can afford a little luxury. We also supply very fine natural dyes, ethically sourced from around the world. Feel free to follow us on Twitter, Facebook and Instagram – we also keep a mailing list of people who get exclusive offers on sheepskins and natural dyes.